It was a dream come true. Susan loved all things Scottish. So, when the opportunity presented itself, there was no question in her mind that she would go on the archaeological dig in the Highlands. Ms Peters is always fun! Jessica Tregarth goes to England to visit her grandfather; an invitation that surprises and pleases her. The only link she has with her dead father's family is an antique ring he brought with him to America. This will be a chance to learn more about who she is; it will be fun. Convinced that the tomb of the little-known King Tutankhamen lies somewhere in the Valley of the Kings, eminent Egyptologist Radcliffe Emerson and his intrepid wife, Amelia Peabody, seem to have hit a wall. Having been banned forever from the East Valley, Emerson, against Amelia's advice, has tried desperately to persuade Lord Carnarvon and Howard Carter to relinquish their digging rights. But Emerson's trickery has backfired, and his insistent interest in the site has made his rivals all the more determined to keep the Emerson clan away. Powerless to intervene but determined to stay close to the unattainable tomb, the family returns to Luxor and prepares to continue their dig in the less promising West Valley, and to watch from the sidelines as Carter and Carnarvon "discover" the greatest Egyptian treasure of all time: King Tut's tomb. But before their own excavation can get underway, Emerson and his son, Ramses, find themselves lured into a trap by a strange group of villains ominously demanding, "Where is he?" Driven by distress, and, of course, Amelia's insatiable curiosity, the Emersons embark on a quest to uncover who "he" is and why "he" must be found, only to discover that the answer is uncomfortably close to home. Now Amelia must find a way to protect her family, and perhaps even her would-be nemesis, from the sinister forces that will stop at nothing to succeed in the nefarious plot that threatens the peace of the entire region. Don't miss the rest of the Amelia Peabody series. You can also check out more of our Most Addictive Series. 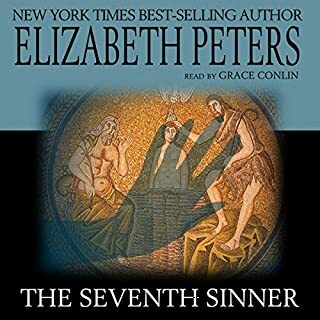 I am a long-time Audible subscriber and have listened to 100's of audiobooks but this series by Elizabeth Peters, featuring Amelia Peabody Emerson, her husband Radcliffe Emerson and their inimitable son Ramses, is my favorite of all time. 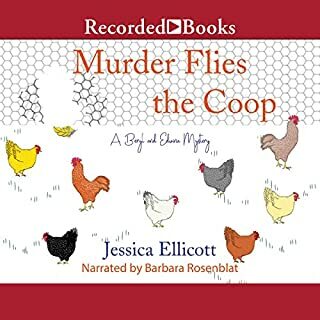 Though I have read the hard copy series, the incredible narration by Barbara Roseblat makes the audible version superior. She IS Amelia Peabody, and Emerson, and Ramses, etc, etc. Her characterization is so superb that you can unhesitatingly identify the character. The entire series is wonderfully funny, suspenseful at times and above all, you will fall in love with the Emerson family and not be able to wait for the next book to continue their joyful romp through life. I promise you that if you have not read this series, you are in for a wonderful treat. 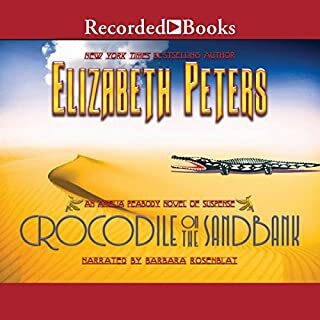 If you've never read one of the Amelia Peabody books, you'll be completely lost (start with Crocodile on the Sandbank and go from there) - after 18 books in the series, the backstory would take a volume of its own. I loved the story - my carpool pals were a bit lost, though, as I kept stopping the audio to explain who each character was. The Tomb of the Golden Bird is Amelia at her best. It's so sad that the end of this story indicates everyone is going off to live their lives and ends the stories of this entertaining family. Book 18 is the end of this series as book 19 is a story in the past prior to the marriages of Amelia and Emerson's next generation. I so loved this series! 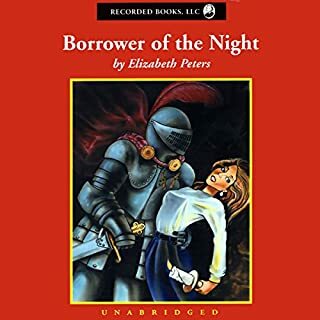 Elizabeth Peters (real name Barbara Mertz) was such a clever writer and wove great tales about this family that drew us all in as if we really knew them. Since the author has passed on to the great writer's haven in the sky, it is sad that there will be no more tales.It has been so much fun listening to these books! I will miss Amelia and Emerson and all their family's antics. R.I.P. Barbara Mertz (1927-2013)! Thank you for so many enjoyable hours of listening! 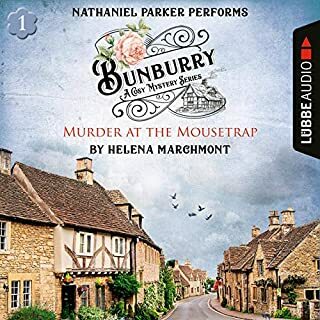 I started the Amelia Peabody series with this audio book that I found on sale a couple of years ago. It started me on a journey through Egypt with some fascinating and fun characters. I got my friends hooked on the series and everyone has thoroughly enjoyed the journey. The narrator makes the story come alive, giving each character its own personality as dictated by the author's wonderful writing style. Yes, there are some slow parts, but stick with it and you won't be disappointed! If possible, listen to in order, starting with Crocodile on the Sandbank. Truly a fine experience. At last, Elizabeth Peters gives us the Emerson take on the discovery of Tutankamun's tomb! And it's as good as you would expect! Humor, historical accuracy, great characters -- all hallmarks of this excellent series. As always, Barbara Rosenblat IS Amelia Peabody -- heck, she's all these characters! How Peters kept this series fresh and new throughout is the biggest mystery, but, bless her, she did. If you like informative mysteries with lots of fun and historical detail, you can't do better than the Amelia Peabody series! And this is a very good entry. What did you love best about Tomb of the Golden Bird? Both Elizabeth Peters and Barbara Rosenblat are a joy to listen to. Great characters matched with excellent voicing make a delightful experience. I just love Amelia! She is "real." I love her voicing of Emerson's "Hmmph..." remarks. 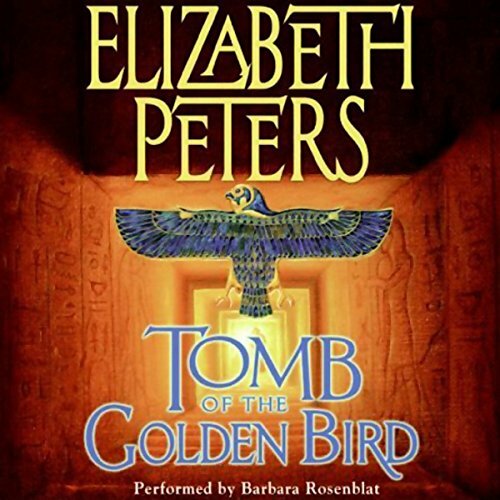 Would you consider the audio edition of Tomb of the Golden Bird to be better than the print version? I enjoyed both the print and audio versions, though the audio version lends a great deal of excitement. The story line keeps you interested to the end. Her use of so many voices makes the story come alive. You almost feel like you know each character. Ramsee's announcement about the new child at the end. 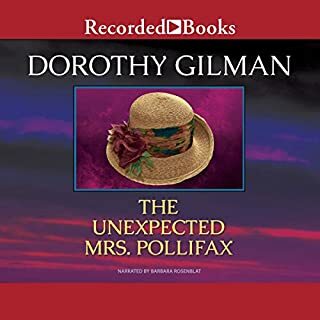 This series has been a favorite for its sharp characters, detailed and accurate settings, witty humor...The narrator did a fantastic job capturing the personalities that are already so vivid! The way Ms. Peters has interwoven the discovery of Tutankhamen's tomb with yet another "criminous" investigation by the Emerson family is quite delightful. Even though both Amelia and Radcliffe are no longer young, and the second generation are no longer children, they are as active and interesting as characters as they ever were. And Barbara Rosenblat, as always, really does "perform" the book, rather than simply narrate it.